Hello, this is Park Jaebeom’s agency, SidusHQ. First of all, Park Jin Young’s statement was expressed in a way that implied pity. He stated, “Should the truth be revealed, this friend will be hurt. We are not revealing it in order to protect him.” Such unconfirmed statements opens room for a variety of different speculations, and as Park Jaebeom’s agency, we can no longer look over the matter. 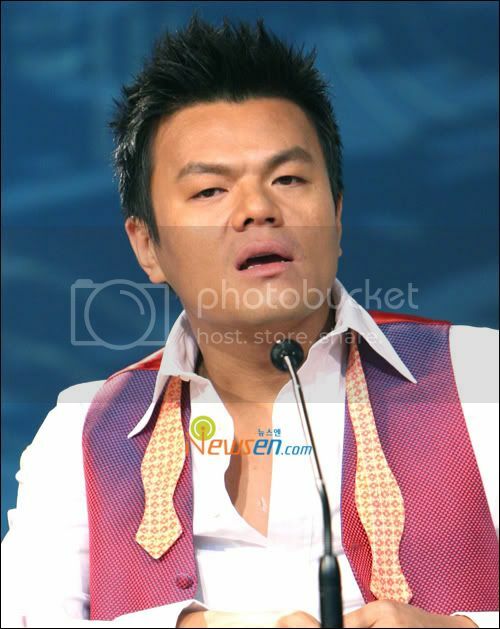 We at SidusHQ are curious about Park Jin Young’s intentions on creating another controversy with the nuance of ‘being hurt once revealed.’ Through “Win Win,” Park Jin Young stated that he “could not lie, or speak of the truth.” We would like to retort by asking why the truth cannot be disclosed. Under the pretext of protection, such irresponsible statements have only given pain to Park Jaebeom. By not speaking the utter truth and merely beating around the bush, we cannot help but wonder whether it is Park Jin Young himself that is ‘deceiving’ the public by furthering the public’s frustration and curiosity on the issue. We hope that Park Jaebeom will no longer be wounded by his former company and will be allowed to actively promote himself. We would like to express our gratitude towards the people that continue to support and regard him with warm eyes. We greet you once more with a better image.